We can become a good rebounding team by committee same for Defense, it’s a collective thing that the Lakers will need to have. You forgot to mention Rondo, he’s a guy who can get double digit rebounds. We were second in rebounding last season and we traded Julius for LeBron and all we need to do is exceed Lopez's four rebounds per game from our center by committee position. Seems doable to me. Rondo rebounds better than IT or Caruso... upgrade there as well. Free throws and threes were our weak spot, but I'm hoping LBJ and Svi helps with that. Lebron and Zo are good rebounders. Kuz, Hart, KCP, and BI are all decent. I'm not too worried about it. How did warriors do with rebounds? Yup, these two are still the biggest areas of concern. Free throws and threes were our weak spot, but I'm hoping LBJ and Svi help with that. People tend to forget also how good of a rebounder Stephenson is. That dude gets boards. Beasley is no slouch either. I'd expect a better year from.Kuz as well. Gang rebounding will be the theme and I fully expect everyone to buy in. What you don't seem to be factoring in is how much the game has changed and how it impacts rebounding. Teams shoot a bunch of threes now. A bunch. And as they say, 'long shot, long rebound.' You don't necessarily need a huge guy in the paint who can gobble up boards for you to be an elite rebounding team in today's league. A decade or so ago (let alone over 30 years ago during the Showtime era) teams still valued mid range shots and ran their offense through the post, which means there weren't too many long rebounds. But now many of the rebounds are long because of the high volume of three point attempts. 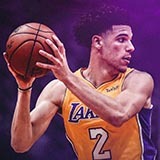 LeBron will lead the team in rebounds and Lonzo will most likely be second. Hart is an elite rebounder amongst guards and Rondo has always been a good rebounding guard throughout his career. Lance is a pretty strong wing and one of several guys on this team who are consistent triple double threats (LeBron, Lonzo, and Rondo being the others), which requires a knack for rebounds. Kuz has also gotten a lot stronger this offseason (per Luke and Miles Simon), so I wouldn't be surprised if his rebounding is better since he'll be able to battle in traffic a little more than he did last year. But all in all, I think the rebounding will be fine. If anything they'll probably be among the best, if not the best. It's not an area of concern for me at all. we were a great rebounding team last year with Lopez being a very poor rebounder, now we have guys who bring effort on that end. I think it depends on the team. The Laker's offense during Riley's time was centered on the fast break. Getting a defensive rebound started the offense. 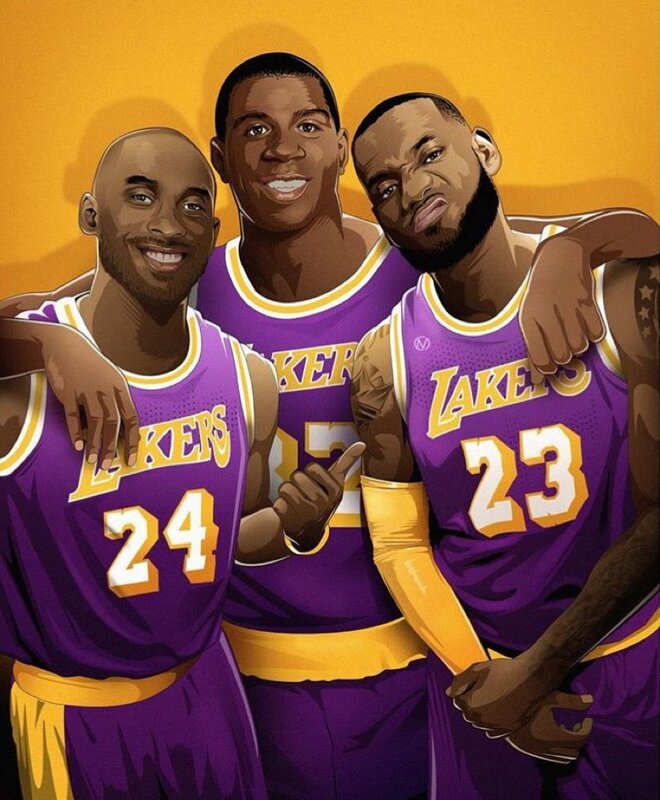 If the other team made a basket, the Lakers usually did not run. So, no rebounds meant no fast breaks and the Lakers had to go to offensive Plan B that involved Kareem trotting down the court. The Warriors offense is not centered on running fast breaks so rebounding is not as important in starting their offense. They were top 5 in defensive boards. The adage has some truth to it, it’s just not the be all end all. I think you are forgetting we have Josh Barkley on the team. im more concerned about being the worst shooting team in the league. we'll have loads of rebounds, at least offensive ones. the real bad sign would be if we were not just the worst shooting team in the league, but also the worst offensive rebounding team. that'll be the formula for doom. How do small lineups work if rebounding was an issue? The Warriors use small lineup all the time. If you have a small lineup in with a threat for fastbreaks, then the opposing team would not be so aggressive at trying to grab the offensive boards and set their players back in position to defend the fastbreaks better. If LeBron wants he can grab rebounds like Randle but he is so good at scoring and passing and rebounding that he can do all 3 at the same time. Riley's adage was disproved by Riley's 2012-2013 Heat, ironically. Outside of James, no one could rebound. Sustained motor like that doesn't work for guys past age 32 unless it's the one thing they do best. GT had mentioned before on a podcast that LeBron found ways to rest in the middle of the game, and was essentially running it at a walking pace.